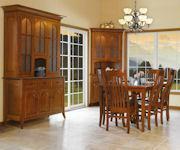 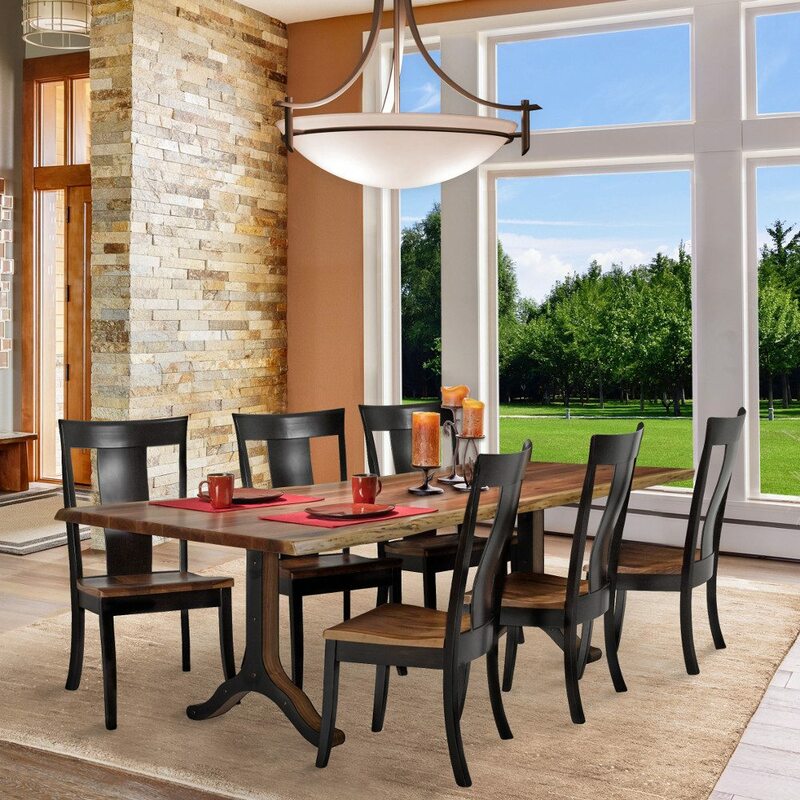 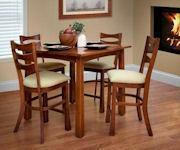 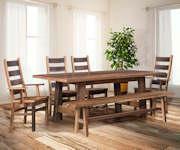 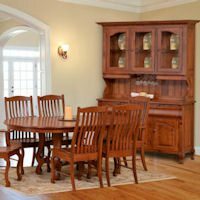 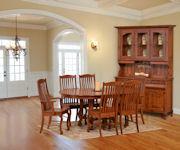 Dining room collections are made from your choice of solid hardwood. 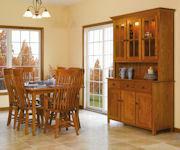 Choose from oak, maple, quarter-sawn oak, brown maple and more. 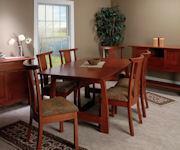 Customize the set with your choice of dining furniture pieces – table, chairs, buffet, server, hutch – in your choice of size.